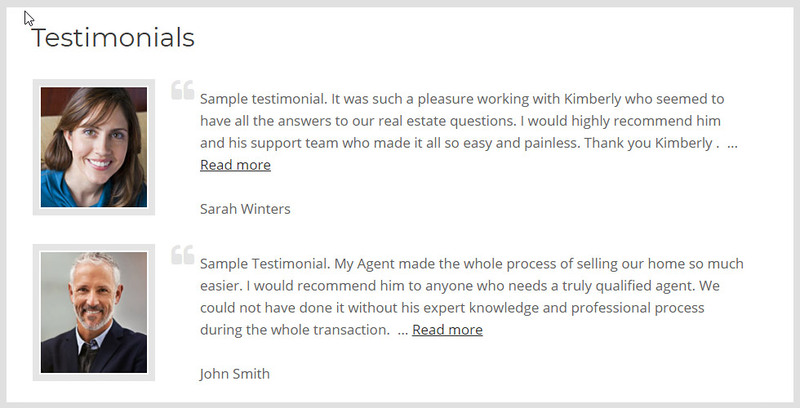 Testimonials give you the opportunity to add to your credibility and make you more "believable" . Offer visitors a way to see what previous clients think of you and present this information in an easy to read / impressive looking format. The basic testimonial page we have set up can be the foundation from which you could build a very impressive testimonials section of your website. Consider making your testimonials even more effective by adding a brief video of your client discussing the highlights of their experience with you handling their transaction.